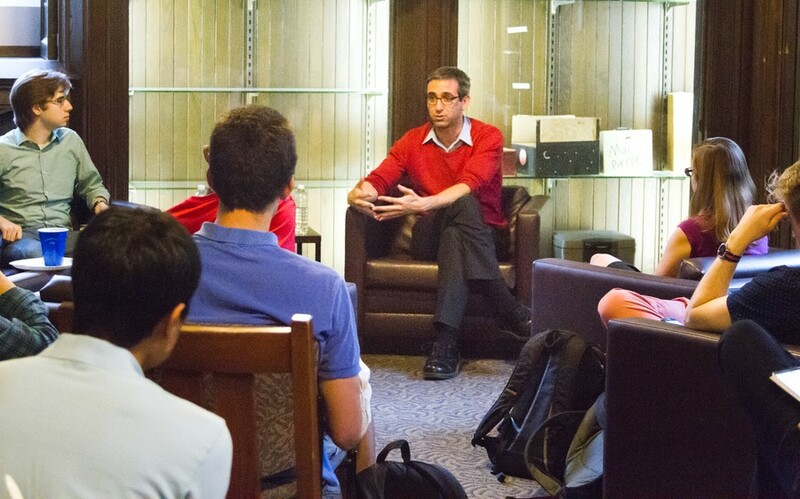 The University of Chicago Democrats hosted Will Guzzardi, the presumptive Illinois State Representative of the 39th District, as a guest speaker in an event held at Bartlett Hall yesterday evening. The 39th District encompasses the Logan Square neighborhood of Chicago. Guzzardi is a former journalist and has worked for both The Huffington Post and the University admissions office. He defeated six-term incumbent representative Toni Berrios in the Democratic primary on March 17 and has no currently declared opponents in the general election. During the event Guzzardi addressed subjects including his career path towards politics, his experiences in running for office, and his political stance on specific issues, including the ongoing student protests advocating for an adult Level I trauma center at the University of Chicago Medical Center (UCMC). Guzzardi, who graduated from Brown University in 2009 with a degree in comparative literature, said that he never intended to enter the political realm until he worked as an intern covering Chicago news at The Huffington Post. Guzzardi said that his entry into politics, which began with an unsuccessful bid for the 39th District in 2012 against Berrios, was facilitated by a combination of her lack of receptiveness to community wants and the willingness of voters to listen to his platform when he reached out to them. First-year and UChicago Democrats Treasurer Henry Bensinger, who worked on Guzzardi’s 2013 campaign, portrayed the Guzzardi campaign as a fight against both Chicago-based “machine” politics and status-quo politicking at large. “[Berrios] was the last vestige of the Chicago machine. Guzzardi ran against the Chicago machine and won. But in addition to the machine, there are also a lot of entrenched establishment groups which oppose progressive reform,” Bensinger said. Guzzardi referred to the political platform which he ran on in both 2012 and 2013 as more “progressive” than the status quo. Guzzardi defined his vision of progressive politics as a greater recognition of issues including health, education, and wage inequality as structural problems that public policy and all tiers of government must work to solve. Guzzardi also believes that the social goals of progressivism may be realized by higher progressive taxes based upon income, as well as other taxes aimed at increasing income equality. “The majority of resources in this country are concentrated in the hands of a few people...a major issue at present is the City’s difficulty in funding pensions for retired public sector employees. If the state put a .001 percent tax on every transaction on the Chicago Mercantile Exchange, that would erase the debt immediately. There’s a lot of money sloshing around there,” Guzzardi said. In response to the question of whether private institutions, in addition to government, ought to also have the goal of increasing health services to all, including whether the UCMC should build an adult Level I trauma center, Guzzardi said that the University should listen to the desires of its community members. “It is not the legal responsibility of a private institution to expand its health services; private institutions such as the UCMC have a choice as to what to do with their money. That being said, we as citizens have a responsibility to let them know when we think that they have done wrong,” he said. “Is it a legal responsibility to build a trauma center? No. Should they? Absolutely,” he added. Guzzardi also suggested that additional investment in health care and education, particularly in Chicago’s low-income neighborhoods, is necessary to ensure Chicago’s long-term survival.